The Cobo Center, the Detroit convention center that hosts the North American International Auto Show each year—is named for Albert Cobo, the mayor of Detroit from 1950-1957. 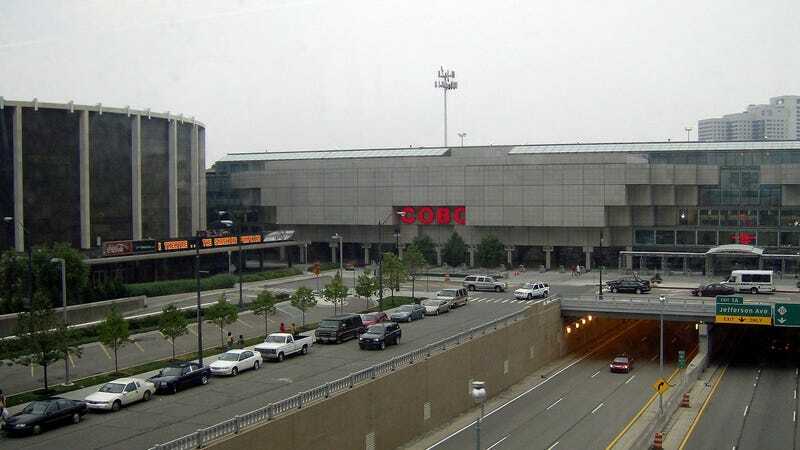 Cobo was a racist and a bad mayor, and, today, current Detroit Mayor Mike Duggan urged that his name be removed from the venue. The idea to change the name isn’t exactly new. As the The Detroit News reported in January 2016, the regional authority overseeing the center said then they were considering a name change, in part to raise money by selling naming rights. We are fulfilling our obligation with the guidance of the Legislature of the State of Michigan — in keeping with our responsibility to be good financial stewards — to do everything we can to make Cobo Center a financially self-sustaining facility. All of which suggests a new name might be in the offing, if only for the money. One obvious option for a new name for Cobo, which may not bring in any new money at all? Boxer Joe Louis, with Detroit’s Joe Louis Arena set to be demolished soon. Joe Louis Center? Sounds about right.